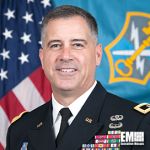 Maj. Gen. Christopher Ballard, commanding general of the U.S. Army‘s Intelligence and Security Command, has been assigned to the National Security Agency as deputy director for NSA’s signals intelligence directorate. Gen. Mark Milley, the Army chief of staff, announced Ballard’s new assignment in a Defense Department news release published Wednesday. Ballard will support NSA’s efforts to collect information about foreign powers, organizations or persons using communications systems, radars and weapons systems that pose national security threats to U.S.
Ballard assumed his role as INSCOM leader at Fort Belvoir, Virginia, in 2016. He previously served as an intelligence officer and led multiple company, battalion and brigade units.